Head for the hills! The mountains of Washington beckon with skiing (downhill, skate, cross-country…and more), snowmobiling, snowshoeing, ice skating, and more… Mount Rainier, Snoqualmie Pass, Mission Ridge, Teanaway, Stevens Pass, Crystal Mountain, Mount Baker, Mazama/Winthrop, Leavenworth, travel into Canada (Whistler among others)…. Power out? Play a board or card game indoors – like Yahtzee! Power out? Listen to the radio and “do a little dance” – got batteries? The Seattle Mist is Seattle’s answer to the LFL (Lingerie Football League). http://www.lflus.com/seattlemist/ If you like football and want to see a bit more skin, then this is the game for you! There are 12 teams in the LFL (6 in each conference) and play four games each (2 at home, 2 away). The Seattle Mist finished the season 2-2. They play two 17-minute (or so) halves at Showare Center in Kent, WA. http://www.showarecenter.com/ There is not a bad seat in the house (but that might depend on your neighbors). Rock/dance music is played throughout the game… except for when action is in play (love it!). At the final game, the Seattle Seahawks Blue Thunder drum team was in attendance along with four Seattle Seahawks players to assist with the coin toss. Seattle Mist gear is available for purchase and the gals had a meet & greet/sign autographs after the game. It’s entertaining, action packed, and makes for a good night out! Bistro San Martin, this gem of a restaurant in Arlington, WA, is worth any amount of time and or money to get there. 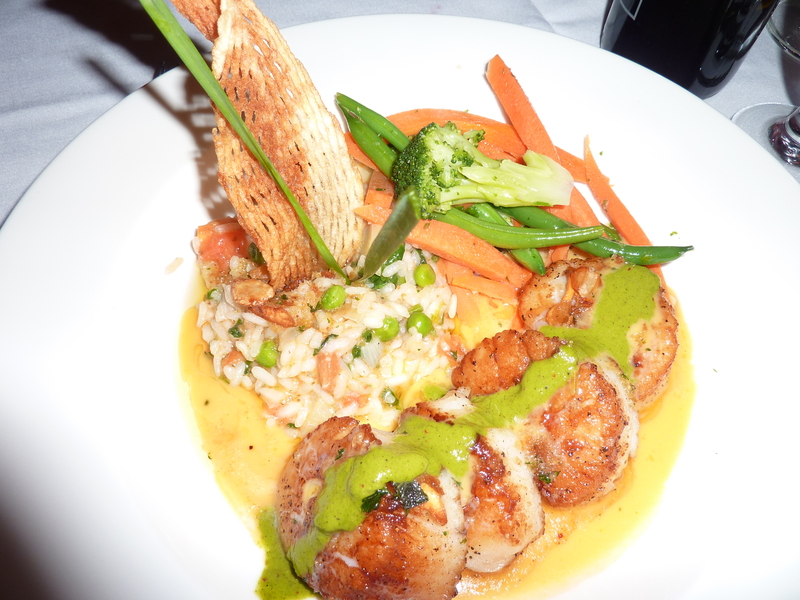 They serve a fine dining menu that includes a fresh sheet with a nice variety of fresh, seasonal seafood, meat, and vegetarian options. The incredible handcrafted sauces add to the flavorful and delicious creations cooked-up in the open kitchen by Chef Martin…an excellent one man show behind the grill. Steve, personable and engaging, is the perfect front of the house host. The decor is a comfy mediterranean mix that has a warmth. The flower vases are made from antique silverware which I thought was clever and added a nice touch. All-in-all, a definite gem in the “Seattle” food scene. The restaurant is closed for three weeks in January, so make a plan for a visit in the near future. Reservations are recommended. An all-around fabulous meal and experience! Be sure to put it on your “must-try” list for 2012! What are you going to make of your 2012? Visit the Space Needle – it’s the 50th Anniversary! If you are watching your funds…how about going to a new park or walking trail? Whatever it might be, make a plan (or be spontaneous) and get out there! Polar Bear Plunge – Happy New Year 2012! This New Year’s Day, the annual Polar Bear Plunge returned to the south end of Gene Coulon Park in Renton, WA. 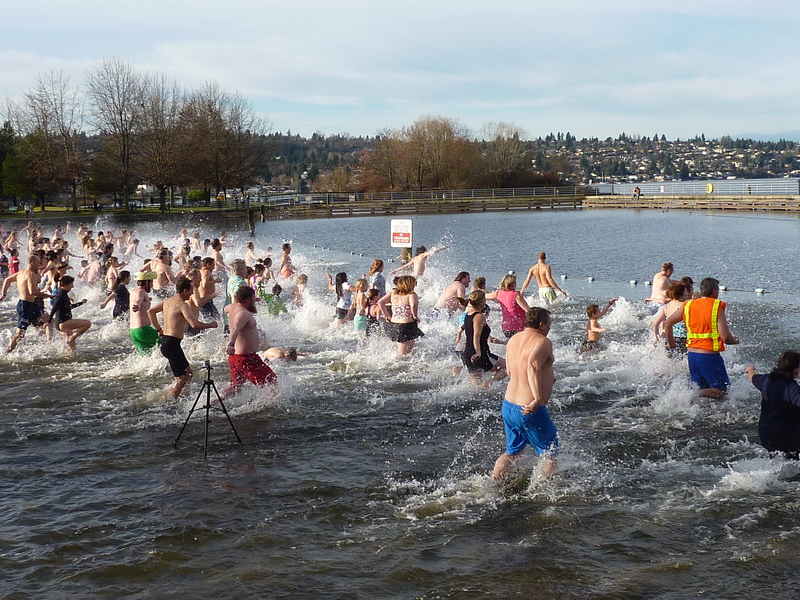 At 11 a.m., many brave souls (or least those that wanted to make a statement) jumped into Lake Washington. The water was 45 degrees with a temperature of 46 degrees outside. This year the event was co-sponsored by Ivar’s (and yes, clam chowder was served) and the Reserve Sanctuary Apartments at The Landing. Other Puget Sound dips, plunges, dives, or swims are held at Matthews Beach in Kirkland, Magnuson Park, Ballard and Alki in Seattle, and at Pt. Defiance in Tacoma. No registration required. My guess is a couple hundred people showed up for the frigid event in Renton. Some in costume. 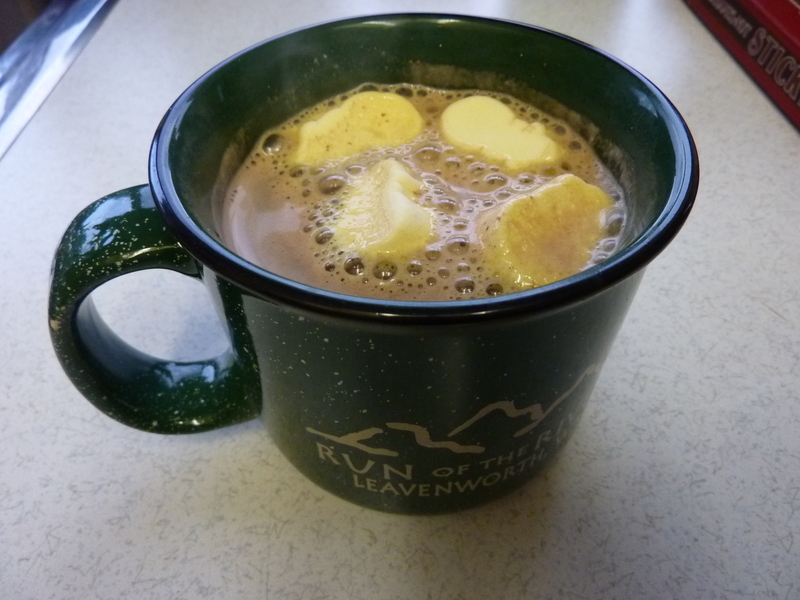 Take the plunge and start the year off with a “chill”! Happy New Year 2012!